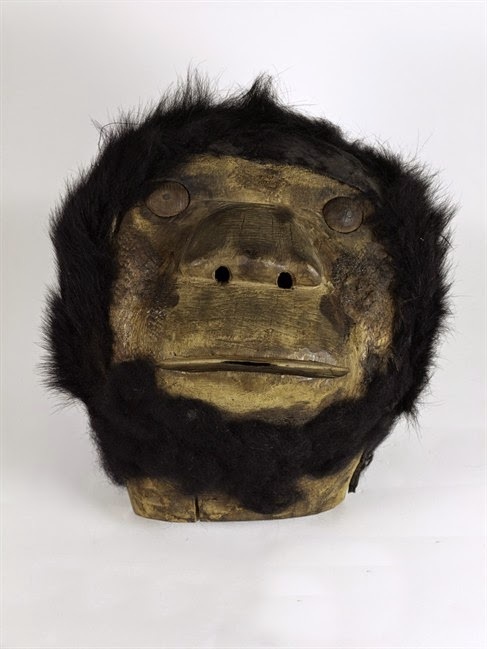 The mask disappeared in 1939 from Sts’ailes First Nation, near Harrison Hot Springs in B.C.’s Fraser Valley. The Vancouver Sun tracks interesting Bigfoot news as a man's journeys across nations and decades to find a mask that was rumored to be taken by a man consumed and obsessed by the Sasquatch legend. Read an excerpt from the story below. VANCOUVER - Hunting for an elusive sasquatch mask revered by a British Columbia First Nation has been a 16-year journey for James Leon, taking him through London, Boston, New York and Ottawa. In the end, all it took was a question to the lady sitting next to him at a Vancouver event that led him to his nation's Sasq'ets mask that vanished 75 years ago. Leon took the job of finding the mask seriously and learned it had been on travelling display. He searched through the archives of several museum's known for having artifacts from British Columbia. While all those elders are gone, he said they'd be pleased the mask has been returned.